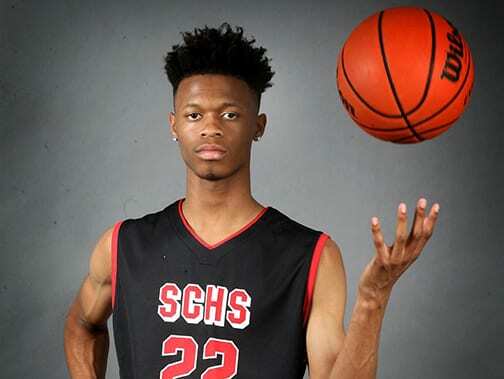 The newest Tiger is a familiar name to fans of Tennessee high school basketball. Jy’lan Washington, who has transferred to TSU from Louisiana Tech, was an all-midstate player during his high school days in Smyrna. He’ll be eligible to play in the 2019-20 season. Tennessee State University head coach Brian “Penny” Collins isn’t just thinking about this coming season, but looking ahead to the future beyond it. Last week he announced that former Stewarts Creek High School (Smyrna) star Jy’lan Washington will be transferring to Nashville from Louisiana Tech. Washington at six feet, nine inches, will bring some needed size to the Big Blue frontline, although he won’t be eligible for this year due to NCAA transfer rules. He’ll be available for the 2019-20 season. He’s been a valuable reserve over the past three years for Louisiana Tech, a team that’s had two posteason appearances in that time with a 63-36 record, and Collins feels he can be a major addition to the program. “We are extremely excited to add Jy’lan to the Big Blue family,” Collins said on the TSU website. “I have known Jy’lan since high school and recruited him when I was at ETSU. We are expecting Jy’lan to use this year to sharpen his game and body so that he can continue to help us take this program to the next level. Washington is the all-time leader in both scoring and blocks at Stewarts Creek. He was a District 7-AAA MVP among many honors he earned during his high school career. Some others included being a member of the All-Midstate team (3rd team), a two-time All-District Tournament and All-Region Tournament selection, and a Tennessee Sports Writers Association Class AAA – All-State member.